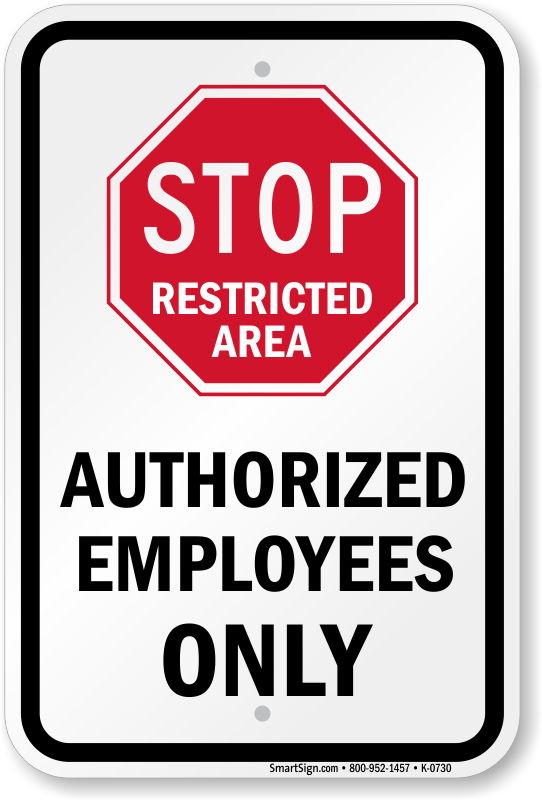 Protect guests and visitors by keeping them out of work areas. 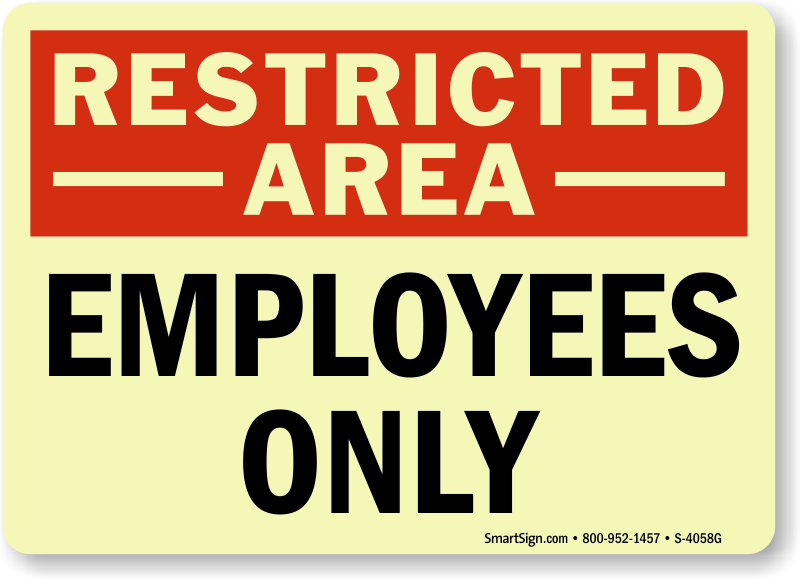 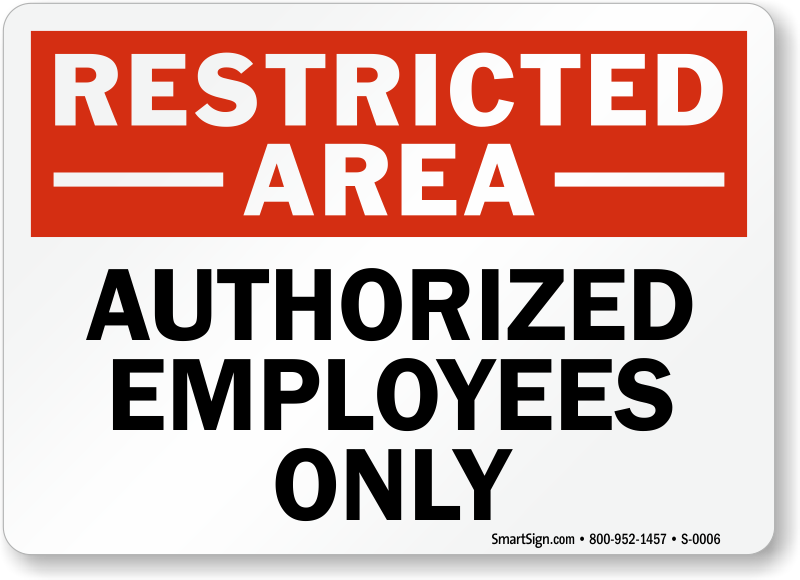 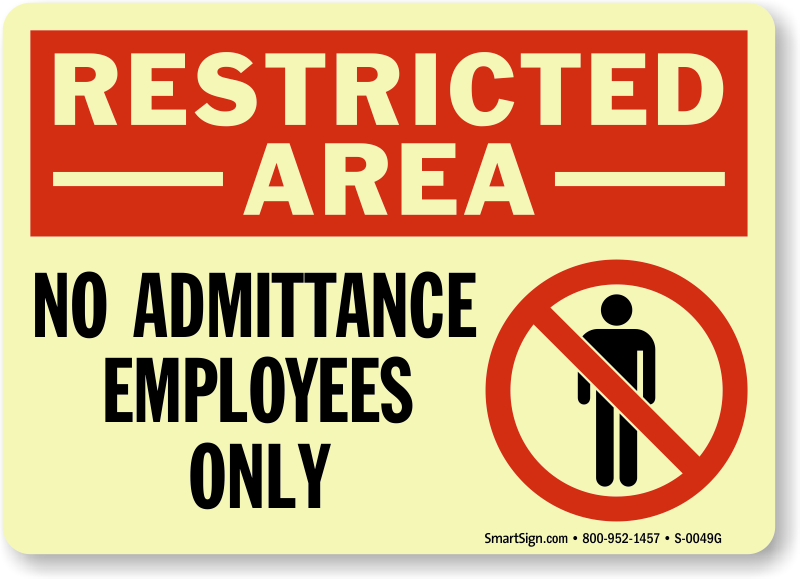 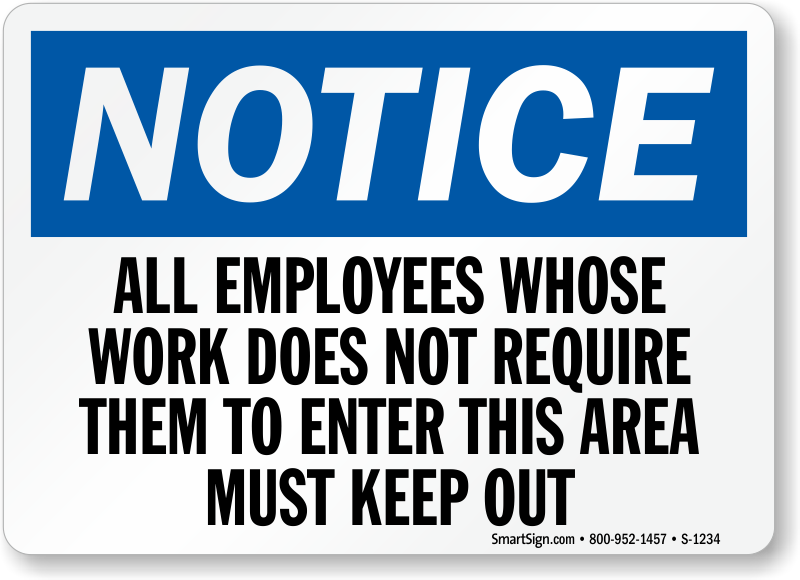 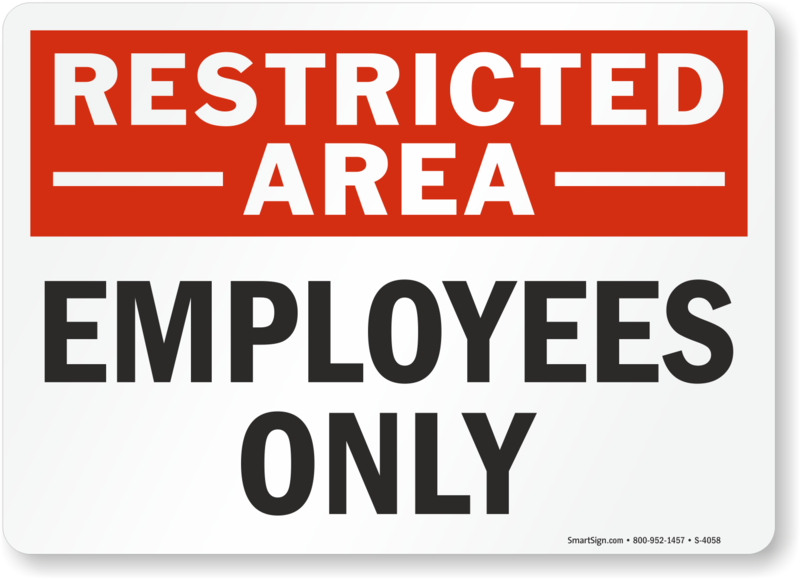 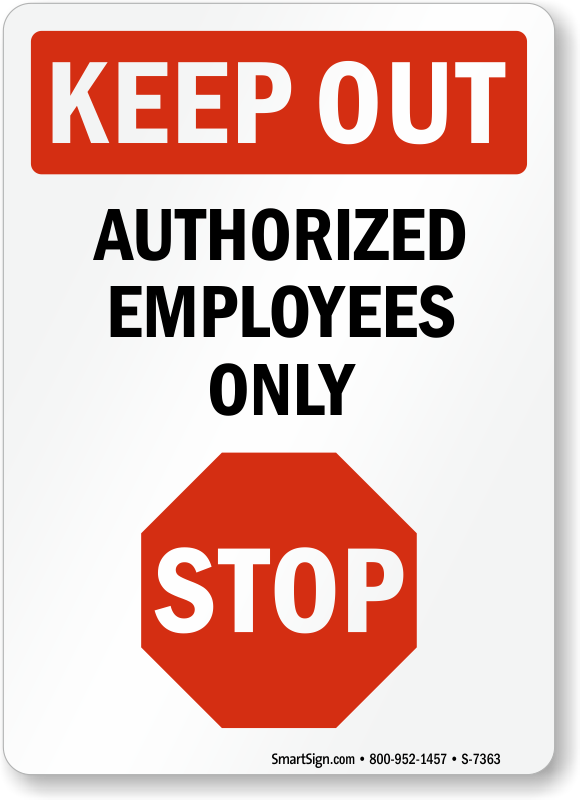 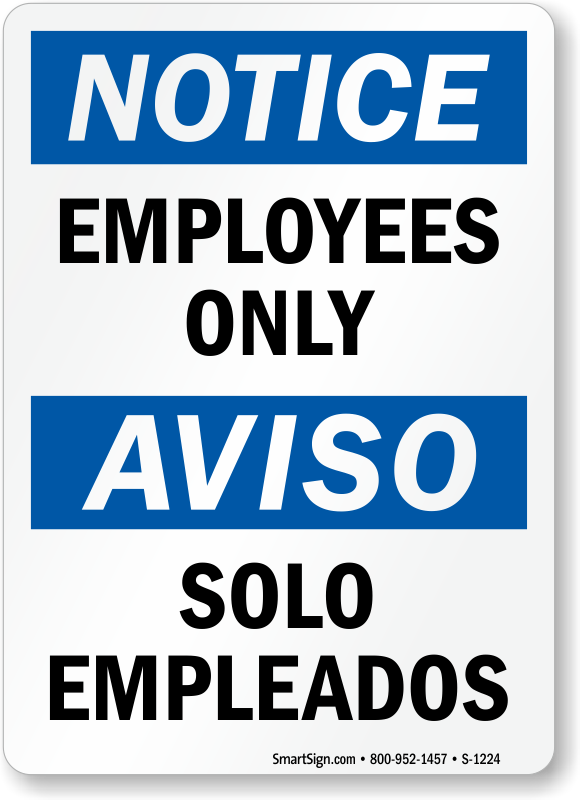 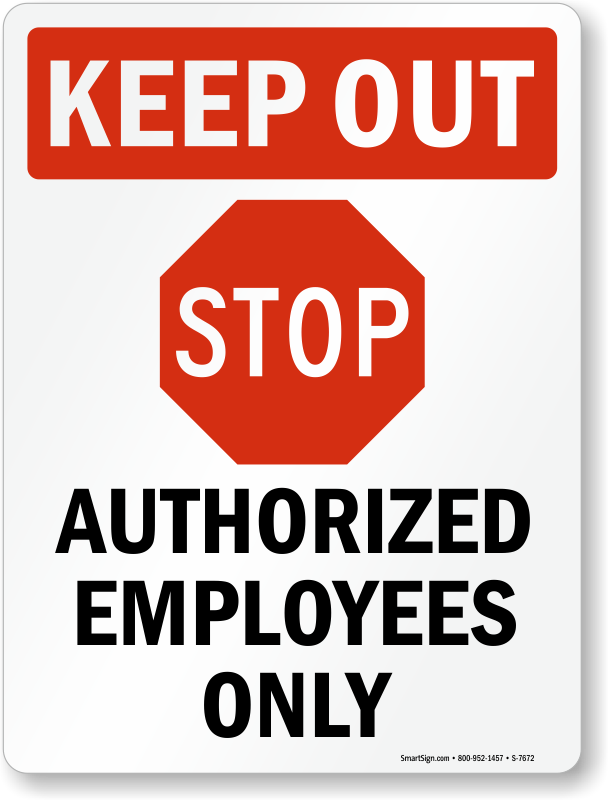 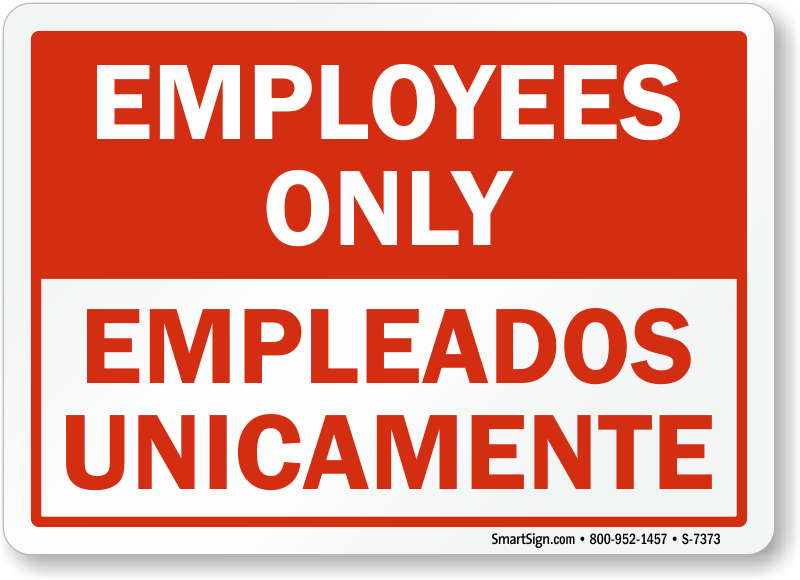 Preventing unauthorized people from entering your workplace is a smart business practice. 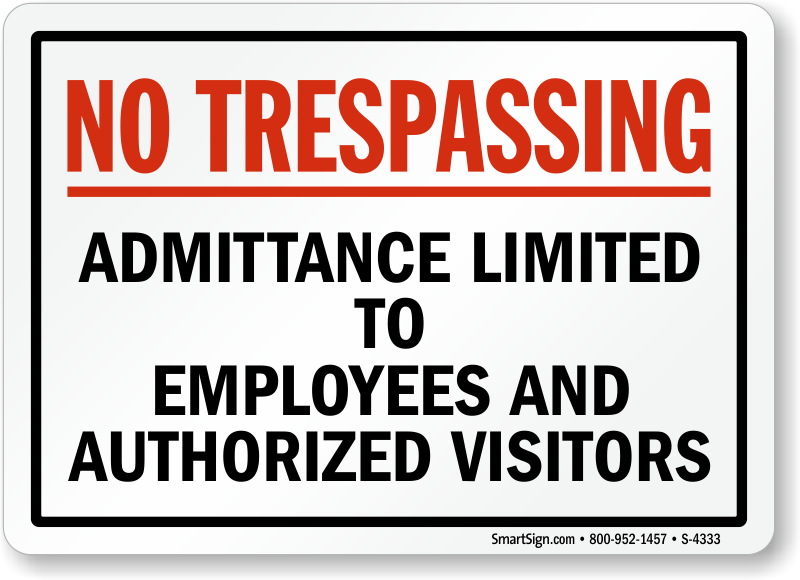 Keep yourself away from liability and direct visitors and vendors to a different entry or office. 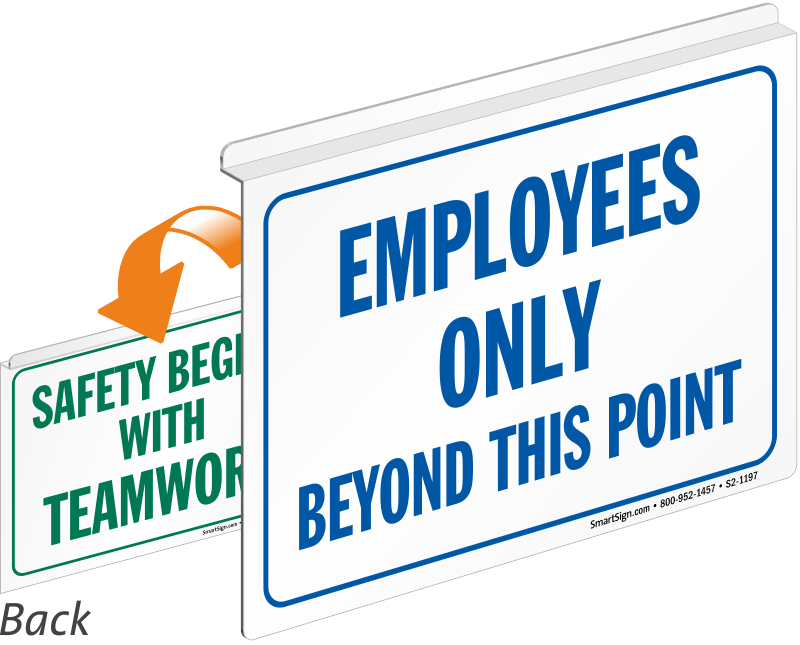 • Choose a template for a vinyl label or rigid aluminum. 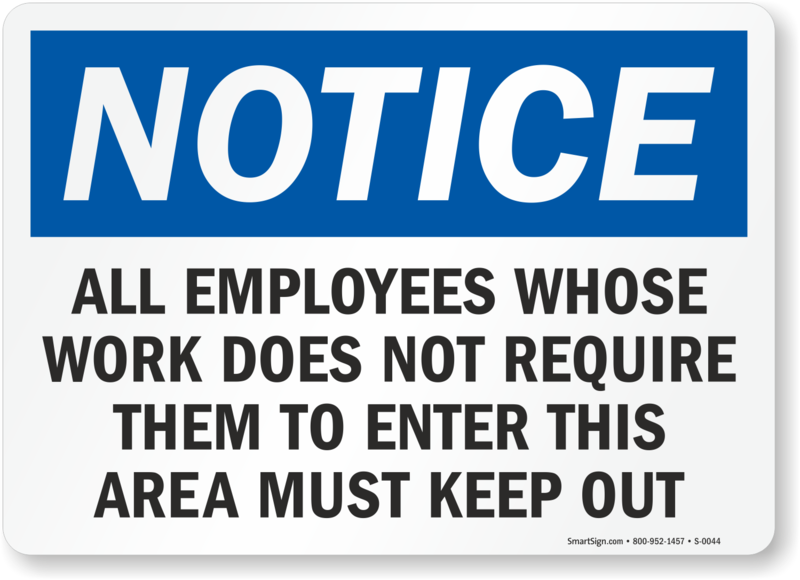 Both are guaranteed to last you for years. 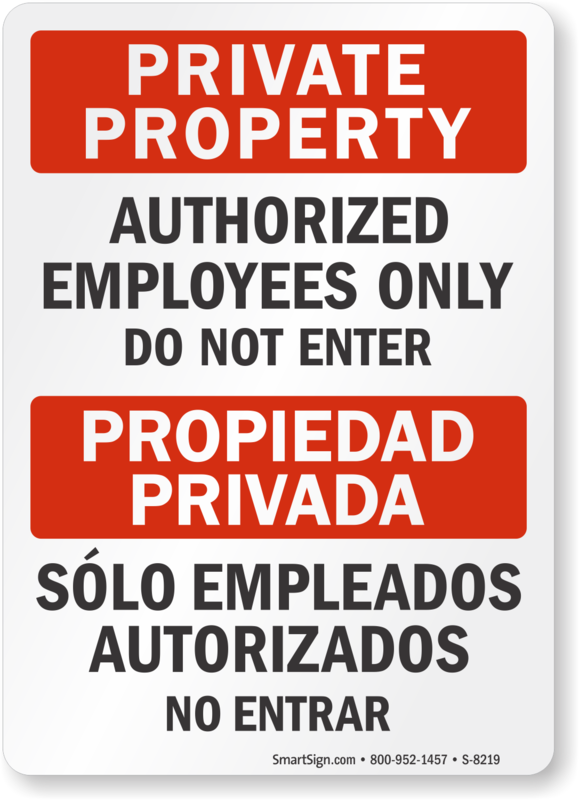 • Photoluminescent Signs glow without batteries and shine day or night to maintain your message regardless of the hour. 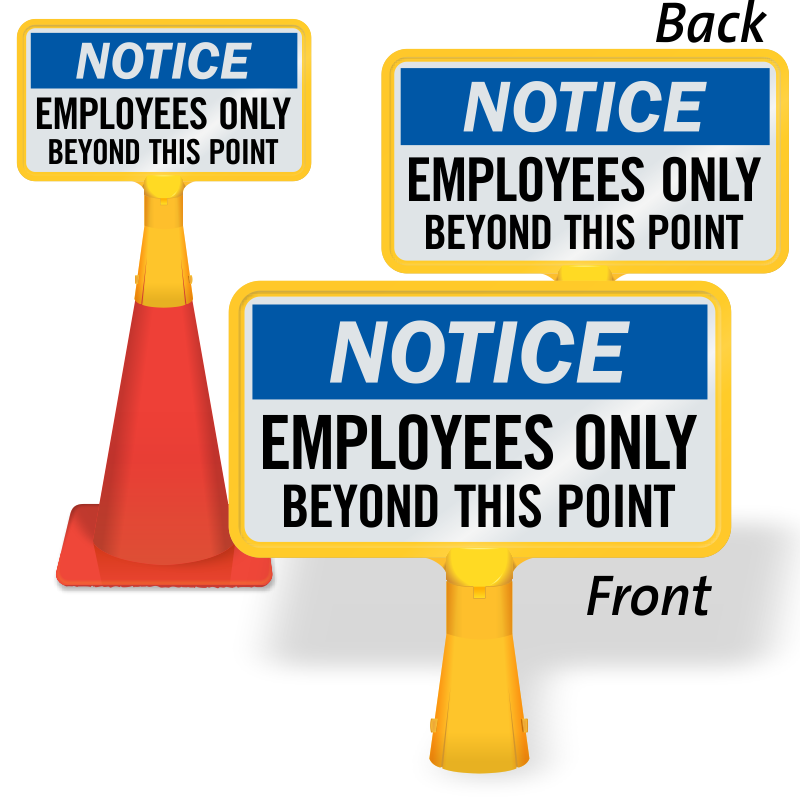 Keep designated and common areas separate to maintain safety.